My Christmas Wish List Manifested! You may remember my December post listing 5 pair of dazzling shoes I wanted for the holiday? Well, I got a pair from my list: Jorden! Well, I got a little more than Jorden… I also got this beautiful animal print clutch to accompany this royal purple bootie. I love the two together and the booties look even better in person than they did on the ShoeDazzle site! I won’t say that I would these beauties for a long time because standing in thin heels could make 10 minutes feel like an hour (lol). 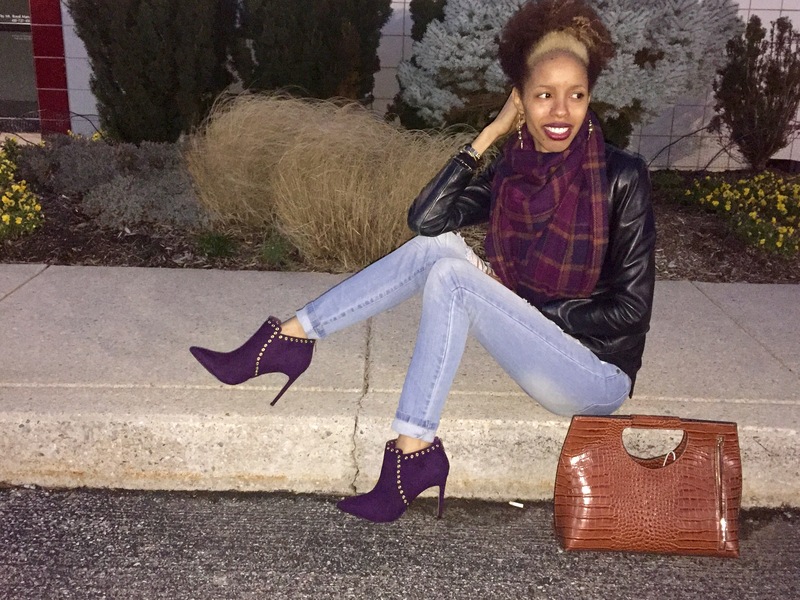 However, the shoes are bold and were essential to my wardrobe as purple is one of my favorite colors! What do you think of my new “beauties” and purse? Want your own booties? Shop here. They are gorgeous and you wore them well. Omg sooooo gorgeous! ! I loveeeeeeee the shoes and the bag. I love your hair too. 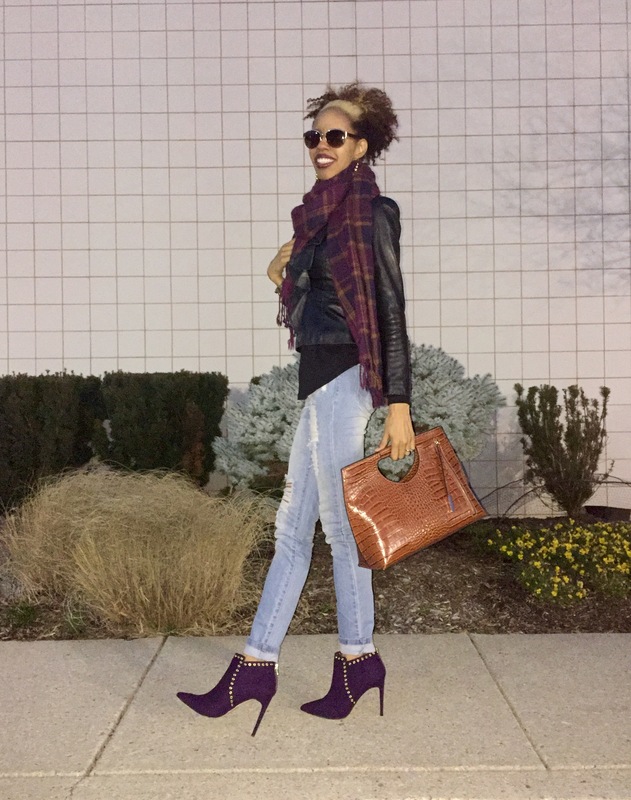 This entry was posted on January 29, 2016 by LaQuisha Hall in Brand Ambassador, Casual Wear, OOTD, Shoe Dazzle, Shoe Spotlight and tagged fashion, fashionista, ootd, ShoeDazzle, style.